A mentally unstable toy maker dresses up like Santa Claus on Christmas Eve and decides to reward the good and punish those on the naughty list. 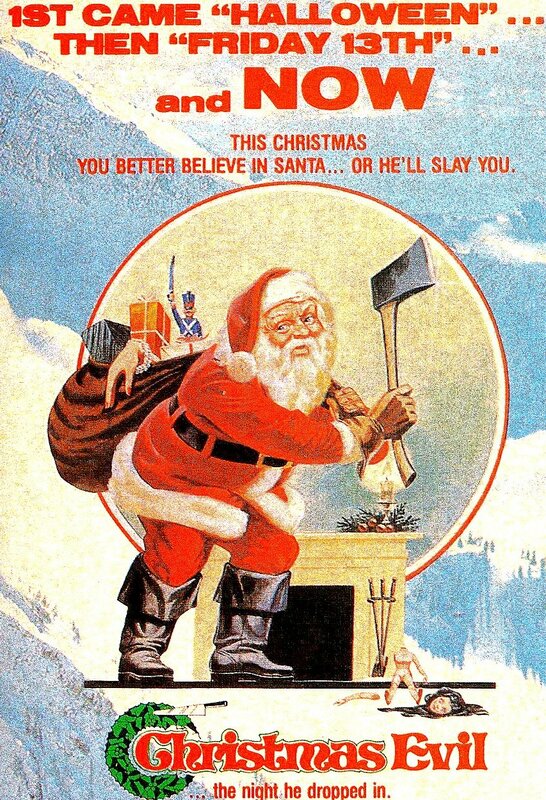 We love Christmas and we really like horror movies, so it's nice when we get our hands on classic Christmas horror flicks like "Christmas Evil," aka "You Better Watch Out." The film is written and directed by Lewis Jackson, who really isn't known for much else, though he does have a little-seen horror movie called "The Transformation: A Sandwich of Nightmares," which sounds like something we needed to see yesterday. This film stars Brandon Maggart as Harry Stadling, a toy factory worker who has an odd obsession with Santa Claus. This fixation stems from an incident where he saw his mother doing a little more than kissing Santa under the Christmas tree on Christmas Eve. He plays out this fantasy by spying on the kids in his neighborhood, making sure to see if they are naughty or nice. When Christmas Eve rolls around this year, Harry finally dons the red suit and white beard combo and acts out his Santa Claus fantasy. He delivers presents to good and needy children and makes sure the naughty kids on his list get what's coming to them, which is sometimes an ax to the head. When we first decided to watch "Christmas Evil," we figured it would be a cheesy Christmas horror that's so bad, it's good. It turns out, this is a psychological horror that's just plain old good if you can get past its dated exterior. Brandon Maggart does a great job as the seemingly kind-hearted Harry Stadling. He is obviously dealing with some form of psychosis stemming from his unhealthy obsession with Santa. There is a lot of tension early on as we are often unsure what Harry's going to do or how far he will go to reward and punish. We see that he is a weird guy, but we also know he has a good heart deep down which makes him a semi-relatable though crazy protagonist. Despite becoming a killer, he is a character we can root for. Does that make us psychotic? Harry has an interesting dynamic with his brother, played by Jeffery DeMunn, who feels like Harry is his responsibility. The two have a few engaging moments that lends to the movie's psychological aspects. We also love the fantastical ending, which we didn't expect. "Christmas Evil" is a low budget horror, so don't expect any flash, pomp, or circumstance. It has a rather off-the-wall concept for a Christmas flick. It is a little slow paced, but if you give it a chance, it's totally worth your time.